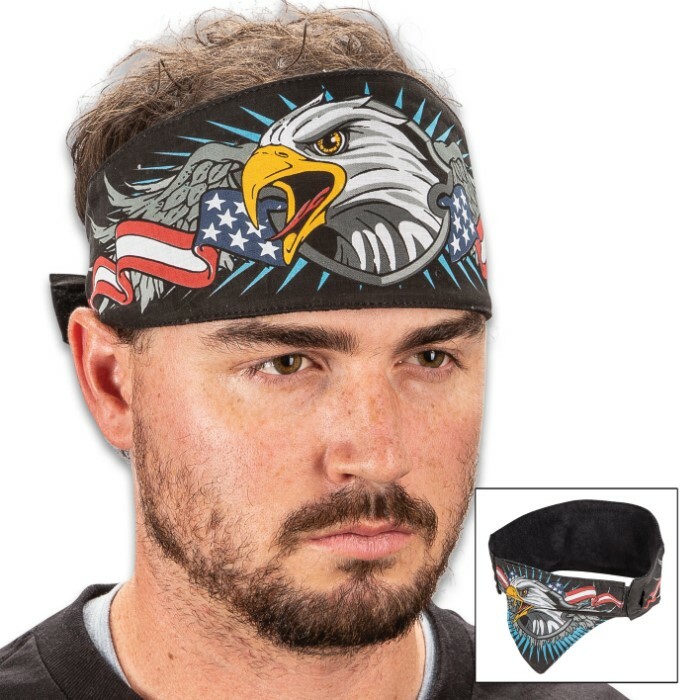 Patriot Eagle Chop Top Doo Wrap - Bandana Material, Terrycloth Sweatband, Double-Sided Tail, Hook And Loop Closure | BUDK.com - Knives & Swords At The Lowest Prices! 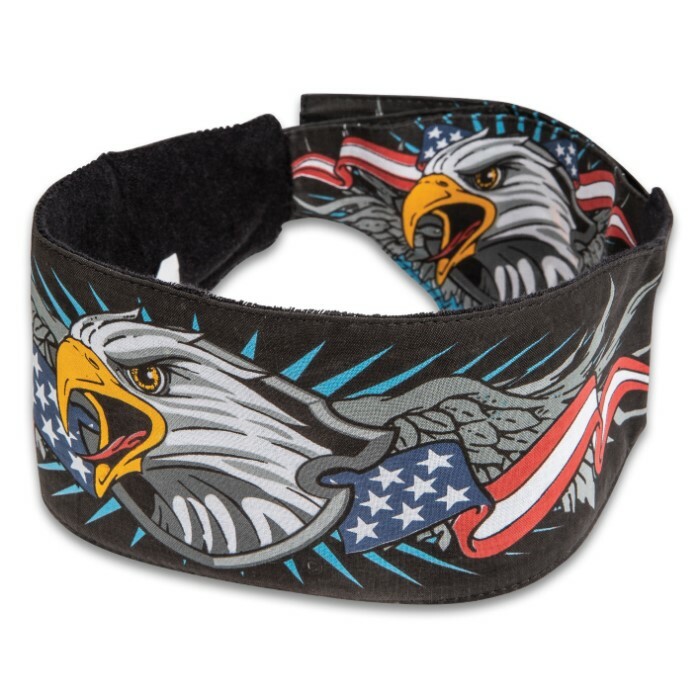 Our Patriotic Eagle Chop Top Doo Wrap is one of our most popular and stylish items because of its patriotic appeal. 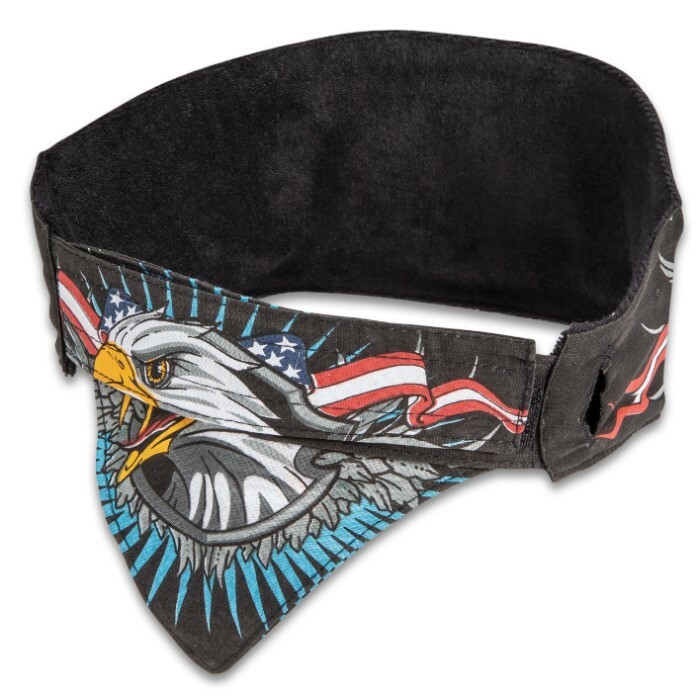 The exclusive design is made to be worn low on the brow and give the appearance of a folded bandanna. 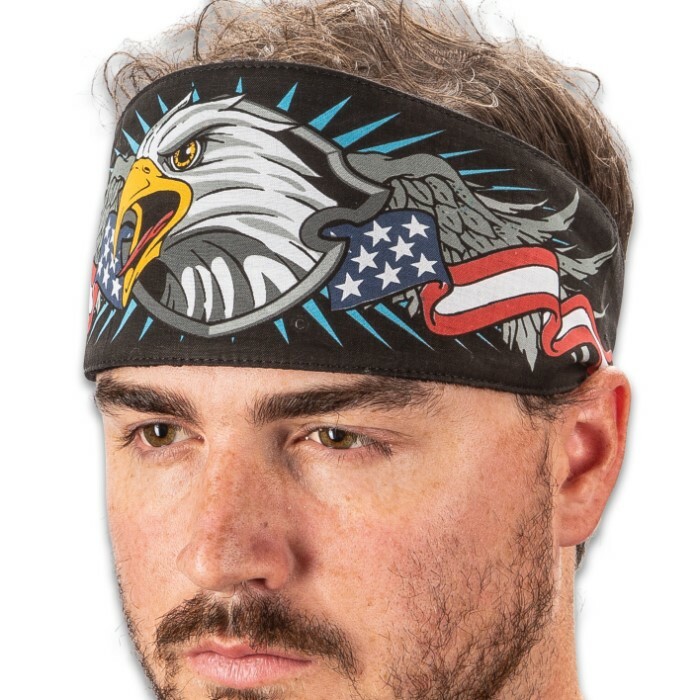 The eagle and flag banner artwork is vivid and the headwrap features a terrycloth sweatband and double-sided tail. The adjustable hook and loop closure with tuck-in assures that it will fit most adults comfortably. 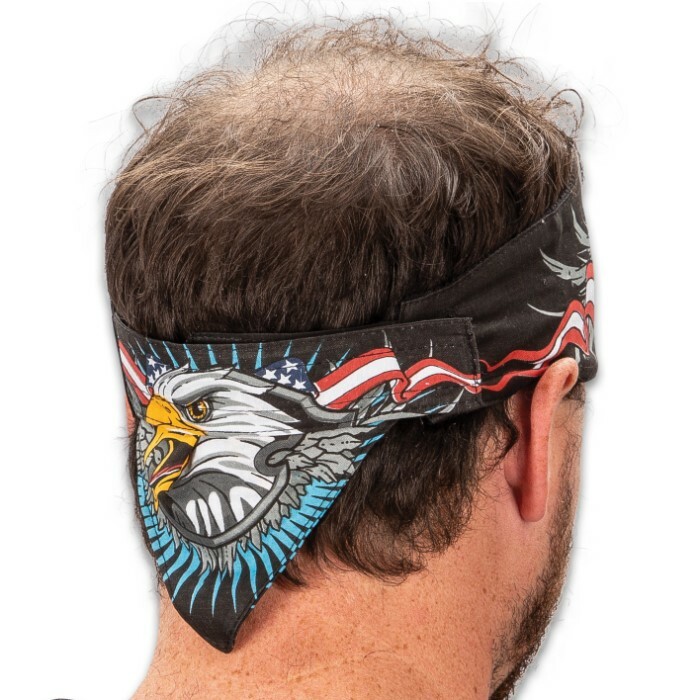 The fashionable Chop Top Doo Wrap is perfect for riding, exercising, working outside and as an accessory to your hard-hitting, heavy metal wardrobe.